MEXICO CITY -- Roman Catholic Church officials pleaded on Thursday for the life of a priest who was kidnapped from his parish residence one day after two other priests were abducted and killed in another part of Mexico. The Archdiocese of Morelia said priest Jose Alfredo Lopez Guillen was abducted Monday from his parish residence in the rural town of Janamuato, in the western state of Michoacan. The archdiocese said he was kidnapped after he was robbed. “We plead that the life and physical integrity of the priest be respected,” the archdiocese said. Two priests were kidnapped Sunday in the Gulf coast state of Veracruz, and their bullet-ridden bodies were found on a roadside the next day. 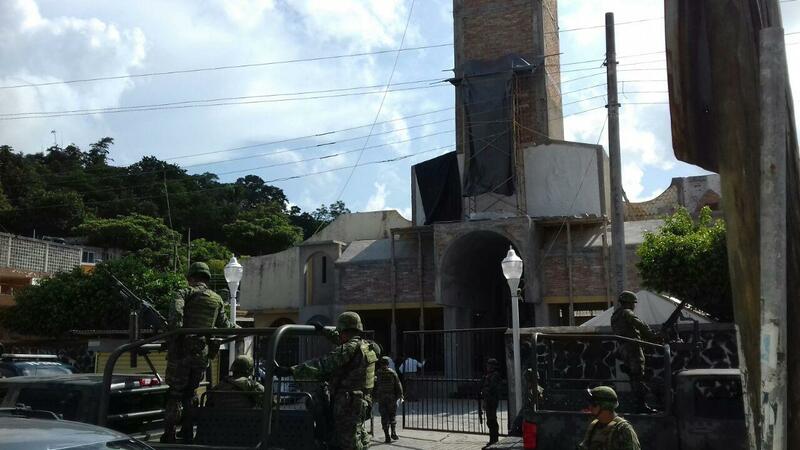 The two attacks on priests have raised concerns, although prosecutors in Veracruz state said the two priests kidnapped Sunday knew their attackers and had been drinking with them. Robbery was also a suspected motive in that attack. The Catholic Media Center says 28 priests have been killed in Mexico since 2006, not counting this week’s slayings.